Photo contest Urban Street Photography "Reflection"
We also present the EYE-Catching Moments, a selection of over 40 photographers, chosen by our online editors from our Facebook photo group. 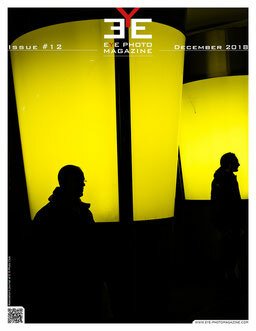 In this issue we present over 100 photographers on more than 300 pages! Did you know: The quality of our magazines is utmost important to us. All our issues are unique and custom made. We deliberately renounce using templates, scripts or any automatism for the magazine production. Instead, we put the creativity and free design in focus to allow to unleash the full potential of our featured artists. We hope you enjoy reading and browsing!